FWD, Jet Black Cloth. Priced below KBB Fair Purchase Price! 21/26 City/Highway MPG Quicksilver Metallic 2019 GMC Acadia SLE-1 FWD 2.5L 4-Cylinder DGI DOHC VVT Chesrown is the ONLY dealer in Ohio that will buy your oil changes and tire rotations for the life of your ownership on ANY vehicle purchase with absolutely no strings attached. This simple benefit can save you thousands in basic maintenance, general wear and tear, and ensure a sterling vehicle history report. Advertised price includes: $750 - Buick and GMC Conquest Purchase Private Offer. Exp. 04/30/2019 $4,493 - Exp. 04/30/2019 Includes GM Financial Down Payment Assistance that requires financing with GM Financial to receive the full incentive. FWD, Jet Black Cloth. Priced below KBB Fair Purchase Price! 21/26 City/Highway MPG Quartz 2019 GMC Acadia SLE-1 FWD 2.5L 4-Cylinder DGI DOHC VVT Chesrown is the ONLY dealer in Ohio that will buy your oil changes and tire rotations for the life of your ownership on ANY vehicle purchase with absolutely no strings attached. This simple benefit can save you thousands in basic maintenance, general wear and tear, and ensure a sterling vehicle history report. Advertised price includes: $750 - Buick and GMC Conquest Purchase Private Offer. Exp. 04/30/2019 $4,506 - Exp. 04/30/2019 Includes GM Financial Down Payment Assistance that requires financing with GM Financial to receive the full incentive. AWD, Jet Black Cloth. Priced below KBB Fair Purchase Price! Quicksilver Metallic 2019 GMC Acadia SLE-1 AWD 2.5L 4-Cylinder DGI DOHC VVT Chesrown is the ONLY dealer in Ohio that will buy your oil changes and tire rotations for the life of your ownership on ANY vehicle purchase with absolutely no strings attached. This simple benefit can save you thousands in basic maintenance, general wear and tear, and ensure a sterling vehicle history report. Advertised price includes: $750 - Buick and GMC Conquest Purchase Private Offer. Exp. 04/30/2019 $4,753 - Exp. 04/30/2019 Includes GM Financial Down Payment Assistance that requires financing with GM Financial to receive the full incentive. AWD, Jet Black Cloth. Priced below KBB Fair Purchase Price! Ebony Twilight Metallic 2019 GMC Acadia SLE-1 AWD 2.5L 4-Cylinder DGI DOHC VVT Chesrown is the ONLY dealer in Ohio that will buy your oil changes and tire rotations for the life of your ownership on ANY vehicle purchase with absolutely no strings attached. This simple benefit can save you thousands in basic maintenance, general wear and tear, and ensure a sterling vehicle history report. Advertised price includes: $750 - Buick and GMC Conquest Purchase Private Offer. Exp. 04/30/2019 $4,753 - Exp. 04/30/2019 Includes GM Financial Down Payment Assistance that requires financing with GM Financial to receive the full incentive. FWD, Jet Black Cloth. Priced below KBB Fair Purchase Price! 21/26 City/Highway MPG Quicksilver Metallic 2019 GMC Acadia SLE-2 FWD 2.5L 4-Cylinder DGI DOHC VVT Chesrown is the ONLY dealer in Ohio that will buy your oil changes and tire rotations for the life of your ownership on ANY vehicle purchase with absolutely no strings attached. This simple benefit can save you thousands in basic maintenance, general wear and tear, and ensure a sterling vehicle history report. Advertised price includes: $750 - Buick and GMC Conquest Purchase Private Offer. Exp. 04/30/2019 $4,898 - Exp. 04/30/2019 Includes GM Financial Down Payment Assistance that requires financing with GM Financial to receive the full incentive. FWD, Jet Black Cloth. Priced below KBB Fair Purchase Price! 21/26 City/Highway MPG Quartz Metallic 2019 GMC Acadia SLE-2 FWD 2.5L 4-Cylinder DGI DOHC VVT Chesrown is the ONLY dealer in Ohio that will buy your oil changes and tire rotations for the life of your ownership on ANY vehicle purchase with absolutely no strings attached. This simple benefit can save you thousands in basic maintenance, general wear and tear, and ensure a sterling vehicle history report. Advertised price includes: $750 - Buick and GMC Conquest Purchase Private Offer. Exp. 04/30/2019 $4,898 - Exp. 04/30/2019 Includes GM Financial Down Payment Assistance that requires financing with GM Financial to receive the full incentive. FWD, Jet Black Cloth. Priced below KBB Fair Purchase Price! 21/26 City/Highway MPG Quartz 2019 GMC Acadia SLE-2 FWD 2.5L 4-Cylinder DGI DOHC VVT Chesrown is the ONLY dealer in Ohio that will buy your oil changes and tire rotations for the life of your ownership on ANY vehicle purchase with absolutely no strings attached. This simple benefit can save you thousands in basic maintenance, general wear and tear, and ensure a sterling vehicle history report. Advertised price includes: $750 - Buick and GMC Conquest Purchase Private Offer. Exp. 04/30/2019 $4,911 - Exp. 04/30/2019 Includes GM Financial Down Payment Assistance that requires financing with GM Financial to receive the full incentive. FWD, Jet Black Cloth. Priced below KBB Fair Purchase Price! 21/26 City/Highway MPG Ebony Twilight Metallic 2019 GMC Acadia SLE-2 FWD 2.5L 4-Cylinder DGI DOHC VVT Chesrown is the ONLY dealer in Ohio that will buy your oil changes and tire rotations for the life of your ownership on ANY vehicle purchase with absolutely no strings attached. This simple benefit can save you thousands in basic maintenance, general wear and tear, and ensure a sterling vehicle history report. Advertised price includes: $750 - Buick and GMC Conquest Purchase Private Offer. Exp. 04/30/2019 $5,027 - Exp. 04/30/2019 Includes GM Financial Down Payment Assistance that requires financing with GM Financial to receive the full incentive. FWD, Jet Black Cloth. Priced below KBB Fair Purchase Price! 21/26 City/Highway MPG Quicksilver Metallic 2019 GMC Acadia SLE-2 FWD 2.5L 4-Cylinder DGI DOHC VVT Chesrown is the ONLY dealer in Ohio that will buy your oil changes and tire rotations for the life of your ownership on ANY vehicle purchase with absolutely no strings attached. This simple benefit can save you thousands in basic maintenance, general wear and tear, and ensure a sterling vehicle history report. Advertised price includes: $750 - Buick and GMC Conquest Purchase Private Offer. Exp. 04/30/2019 $5,027 - Exp. 04/30/2019 Includes GM Financial Down Payment Assistance that requires financing with GM Financial to receive the full incentive. AWD, Jet Black Cloth. Priced below KBB Fair Purchase Price! Summit White 2019 GMC Acadia SLE-2 AWD 2.5L 4-Cylinder DGI DOHC VVT Chesrown is the ONLY dealer in Ohio that will buy your oil changes and tire rotations for the life of your ownership on ANY vehicle purchase with absolutely no strings attached. This simple benefit can save you thousands in basic maintenance, general wear and tear, and ensure a sterling vehicle history report. Advertised price includes: $750 - Buick and GMC Conquest Purchase Private Offer. Exp. 04/30/2019 $5,103 - Exp. 04/30/2019 Includes GM Financial Down Payment Assistance that requires financing with GM Financial to receive the full incentive. AWD, Jet Black Cloth. Priced below KBB Fair Purchase Price! Quicksilver Metallic 2019 GMC Acadia SLE-2 AWD 2.5L 4-Cylinder DGI DOHC VVT Chesrown is the ONLY dealer in Ohio that will buy your oil changes and tire rotations for the life of your ownership on ANY vehicle purchase with absolutely no strings attached. This simple benefit can save you thousands in basic maintenance, general wear and tear, and ensure a sterling vehicle history report. Advertised price includes: $750 - Buick and GMC Conquest Purchase Private Offer. Exp. 04/30/2019 $5,168 - Exp. 04/30/2019 Includes GM Financial Down Payment Assistance that requires financing with GM Financial to receive the full incentive. AWD, Jet Black Cloth. Priced below KBB Fair Purchase Price! Quartz 2019 GMC Acadia SLE-2 AWD 2.5L 4-Cylinder DGI DOHC VVT Chesrown is the ONLY dealer in Ohio that will buy your oil changes and tire rotations for the life of your ownership on ANY vehicle purchase with absolutely no strings attached. This simple benefit can save you thousands in basic maintenance, general wear and tear, and ensure a sterling vehicle history report. Advertised price includes: $750 - Buick and GMC Conquest Purchase Private Offer. Exp. 04/30/2019 $5,181 - Exp. 04/30/2019 Includes GM Financial Down Payment Assistance that requires financing with GM Financial to receive the full incentive. AWD, Jet Black Cloth. Priced below KBB Fair Purchase Price! Summit White 2019 GMC Acadia SLE-2 AWD 2.5L 4-Cylinder DGI DOHC VVT Chesrown is the ONLY dealer in Ohio that will buy your oil changes and tire rotations for the life of your ownership on ANY vehicle purchase with absolutely no strings attached. This simple benefit can save you thousands in basic maintenance, general wear and tear, and ensure a sterling vehicle history report. Advertised price includes: $750 - Buick and GMC Conquest Purchase Private Offer. Exp. 04/30/2019 $5,223 - Exp. 04/30/2019 Includes GM Financial Down Payment Assistance that requires financing with GM Financial to receive the full incentive. AWD, Jet Black Cloth. Priced below KBB Fair Purchase Price! Ebony Twilight Metallic 2019 GMC Acadia SLE-2 AWD 2.5L 4-Cylinder DGI DOHC VVT Chesrown is the ONLY dealer in Ohio that will buy your oil changes and tire rotations for the life of your ownership on ANY vehicle purchase with absolutely no strings attached. This simple benefit can save you thousands in basic maintenance, general wear and tear, and ensure a sterling vehicle history report. Advertised price includes: $750 - Buick and GMC Conquest Purchase Private Offer. Exp. 04/30/2019 $5,287 - Exp. 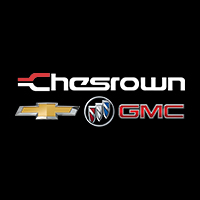 04/30/2019 Includes GM Financial Down Payment Assistance that requires financing with GM Financial to receive the full incentive.